Congratulations! You took the plunge and invested in an ecommerce inventory management software. Your ecommerce stores are ready to rock and roll. True, we may be a little biased, but customers who use ecomdash inventory management software see on average a 23% increase in sales quarter over quarter. We may be head over heels for inventory software, but at least we have some numbers to back it up. Besides streamlining your data processes, inventory software is great for many other reasons. Here are the top 5 ways to take full advantage of that clever little system you have keeping your stock up to date. With an inventory software acting as the eyes of all moving parts of your business, you don’t have to worry about overselling an item. Inventory management systems will let you know when it’s time to reorder and can eliminate the risk of stock outs. Since you now have better control over moving stock, try adding something new to the mix. Is there a new item you’d like to try your hand at selling? A new trend you want to get ahead of and capitalize on? Try it! You’ll have more time (that you used to spend manually checking sales channels for orders), and can spend some free hours researching new products you want to sell. Introducing new products to your buyers will keep them engaged and interested in your company, so give it a shot. It may be time to add a new sales channel, for all the same reasons you can try out new products. Your inventory management software handles all of the back end data processes that ate up so much of your time before, and offers you peace of mind that sales orders, moving stock, listings and fulfillment are taken care of and under control. With the added free time an automated inventory system creates, consider growing your business by opening up shop on another sales channel. The more places you sell, the bigger your audience and higher potential for sales. If you chose a marketplace with a slightly different demographic than the one(s) you’re currently selling on, you can diversify your market. If you are unsure of where you’d like to list your products next, check out our post on the top 10 ecommerce marketplaces. If you don’t already have an ecommerce website, now is the time to add one. Being able to create, edit and customize your own website grants you the opportunity to really step up your branding and take your business to the next level. You’ll be given the basics to grow a loyal following of customers, and you can share so much more about yourself and your business that many marketplaces restrict. We integrate with these shopping cart providers, and we think each of them are awesome. Need some help getting started? Check out these easy DIY coding sites to help you grasp the basics of web development (if you’re feeling brave and want to build a site yourself), or check out these marketing tips to help drive consumers to your website. Employee theft is something no business owner wants to think about or consider, yet the National Retail Federation states that employee theft accounts for 44% of all annual inventory loss in the United States. It sounds pretty grim, and if you have a good relationship with your employees, you likely don’t want to behave as if you’re suspicious of theft. That’s where an inventory management system comes in. Because a software keeps an eye on all moving stock, you will be able to see whats coming and going, without making employees feel on edge. Software Advice conducted a study and found that only 8.21% of stores using an inventory management system report that employee theft is a significant issue. An inventory system will keep your shelves stocked, your employees confident in your trust, and your wallet fat. Yes, you. You need a break. Since the world of online selling doesn’t follow regular business hours that a brick and mortar store might, your customers are likely shopping from you, day or night, weekend or not. Being accessible to shoppers 24/7 means you can greatly increase sales in a way that B&M stores cannot – but it also means you’re working around the clock. Now that you’re using an inventory management software, many of the back-end data processes are taken care of for you, without needing your intervention. Ecomdash in particular will update all of your sales channels in near real time, meaning you don’t need to worry about logging into Amazon, eBay, Shopify, etc. individually. We have a customer who is a top seller on eBay and Amazon who ran his entire ecommerce business in just 10 minutes a day, from his mobile device…while he was sunning in the Dominican Republic. It’s possible, and you deserve it. Trust your inventory software do the heavy lifting. Slap on some sunscreen and relax, why don’t you. 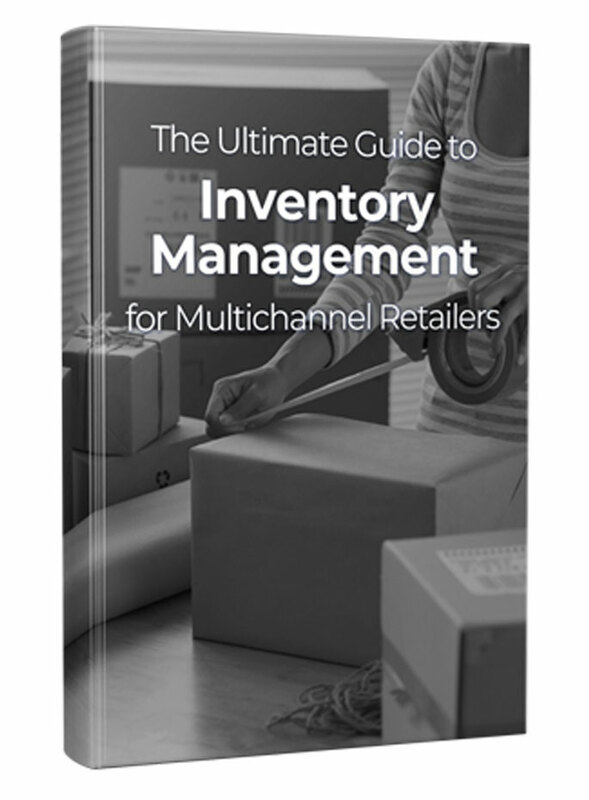 Have you picked an inventory management software yet? You can also read our tips on how to find the perfect software for you, and signup for our blog to receive more ecommerce tips.